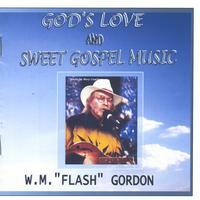 © Copyright - Flash Gordon Music / Georgia Boy Recording Co. The Songs on this CD took nearly thirty years to write and record. I put my first band together in Vietnam in 1968 and I remember praying at night that God would see fit to let me see my home again. I was a lucky man and was able to walk and talk when I did arrive home in Miami, Florida Christmas, 1968. I had been raised in South Georgia inside the Methodist Church. My cousin, Jerry, taught me a few chords on the guitar and I was the coolest cat around. After wearing out most of the clubs in South Florida I moved to Nashville in 1972. The first song that I had published is on this album. "OLD TIME RELIGION" was originally recorded in Nashville in 1974. I have remastered that demo and included it here. Over the years I have been lucky enough to have my songs recorded by Alabama, Hank Williams Jr, Charlie Rich, Mel Tillis and David Allan Coe.